Montreal's Mac Demarco’s sun-soaked tropical guitar flourishes create short ditties that burst with colour and a lazy hazy feeling. 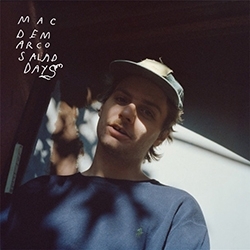 My mate Jack raves about Mac’s music and I’ve been listening to Salad Days, Demarco’s sophomore LP, on and off since April. The perfect soundtrack to hot and sunny, chilled-out days laying in a hammock with a cold drink of choice. I’ve succumbed to it’s jangle-pop charm, with an illustrious psychedelic edge that comprises perfect easy listening. Building-up a big following this year, Mac DeMarco isn’t even his real name he was born Vernor Winfield McBriare Smith IV. He started out with fuzz-pop band Makeout Videotape before releasing debut EP Rock and Roll Night Club back in 2012. The LP 2 then followed the same year. DeMarco recorded Salad Days in his apartment, in the Bedford–Stuyvesant area of Brooklyn, New York, following an extensive tour in support of his debut releases. This tune, Let Her Go, was apparently label Captured Tracks’ demands for an upbeat single that DeMarco was quite upset about. But it’s proved to be worthy inclusion however it came about and it's a definite highlight on the accomplished album. Salad days is an enjoyable record that’s well worth investigating and one we’ll come back to when the sun comes out. 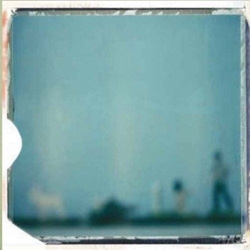 The twinkling of wind chimes in a breeze on a bright clear sunny day, a cacophony of different instruments meander into the foreground sound, a short pause before awakening Jordan Lee's softly spoken words whisper through the dreamscape - this is the intro to most beautiful LP your likely to hear for sometime. 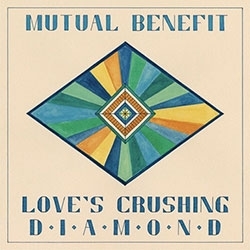 Mutual Benefit, Brooklyn's multi-instrumentalist Jordan Lee's debut Love's Crushing Diamond is a chilled-out indie-pop masterpiece. 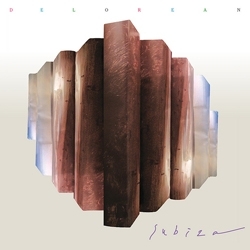 Echos of Arcade Fire, Beirut and Grizzly Bear here and there, but the whole record is so easy to listen to it swells with euphoria moments through swooning, thickly textured strings and melodic acoustic strums. Sometimes my heart and brain conspire / to set everything on fire Lee sings on Golden Wake, the first big tunes certainly sets the mood for this stunning record. The sheer captivating Advanced Falconry is a natural highlight on first few plays, but the rest of the LP quickly becomes as good with all the delicate intricacies wrapping you up in a warm glow. The rarefied folk and graceful multi-layered instrumentation caresses the senses into a dreamlike state. That Light That's Blinding is just a perfect 4 minutes of lush strings and plunky piano with heavenly female harmonies (Virginia de la Pozas, Julie Byrne and Cory Siegler)and Lee's own evocative voice. A complete album that finishes with the divine Strong Swimmer as the epic closer, running in at just over 7 minutes it's a fitting end to a breathtaking collection of 7 songs. The plucky banjo drifts along the lazy river of blissful sounds it passes along the way. One major criticism is at 32 minutes it's all over far to quickly but it truly is a stunning debut and absolutely HIGHLY RECOMMENDED! A welcome return for I Break Horses with a new LP called Chiaroscuro, Denial is the launch track single and it's comforting to hear they have retained their finely tuned sense for shoe-gaze and 80s synth-pop. The title of the album is an Italian term that refers to the treatment of light and shade in painting and drawing. Which sums it up perfectly. more track on this later. 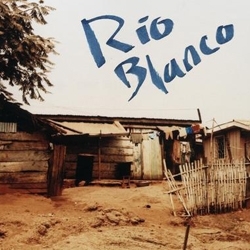 Bibio's back to his Ambivalence Avenue best on this track taken from new LP Silver Wilkinson. 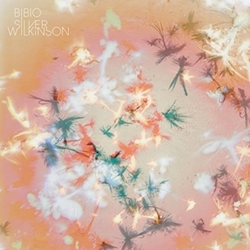 Bibio – aka Stephen Wilkinson – conceived the song in his garden on a gorgeous sunny day. "I limited myself to a few bits of gear and set up in my garden: a 12-string guitar, an MPC sampler, a microphone and a cassette recorder," he explains. He also threw in a plastic watering can beat and the snip of garden shears as percussion. "When I listen to the intro of that track now, I still hear the sunshine and the garden in it because for me it's like a photograph of that moment. No doubt the sunny outdoors inspired the lyrics too." Love the sound of this, The Surf is a vocal track from a mainly instrumental jam-band called Lotus. Their MySpace bio reads like this… The swelling beats of a non-stop dance party and the soaring guitar and melodic triumphs of a cathartic rock experience - equal elements to the live instrumental dance rock of LOTUS. Apparently they have been around for years and have quite a few records on iTunes, this track isn't like most of their other tunes. 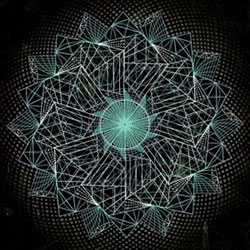 This has a new sunshine vibe to it, almost chillwave! Here's a cool Teen Daze remix of the Local Natives Wide Eyes, adding blissed out dream-scape vibes to a great little indie tune. The original track appears on the LA band's debut LP Gorilla Manor (2009). Listen and lose yourself in a feel-good moment of dreamy psych-folk. Uber cool Swedish band, Miike Snow have made a cool video for this new track The Rabbit from a special deluxe edition of the band’s debut album which will also feature remixes of their previous singles Silvia and Black & Blue plus a Mark Ronson remix of Animal which is on neoloop here. Watch the video it's quite funny, directed by Andreas Nilsson, it looks more like a Major Lazor video. Cracking track too! 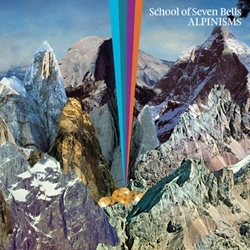 For anyone who missed out on School of Seven Bells first album here's a great track Half Asleep from Alpinisms. 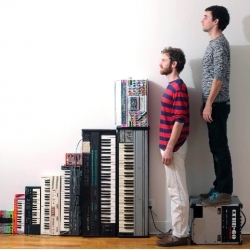 Mercurial French author Rene Daumal defined “alpinism” as “the art of climbing mountains.” Alpinisms is an electronically enhanced pop record of dizzying highs and claustrophobic lows, whose painstaking conception shows in its detail-laden crevices. Benjamin Curtis constructs layers of shoegazing, moire-patterned guitars, while sisters Alejandra and Claudia Deheza intertwine their near-identical voices like the fingers of praying hands. Throughout, the whole heavenly affair is tethered to the ground with a glitchy, tribal thwomp. A great album to discover or re-discover in wait for the new LP Disconnect From Desire due to surface next month. 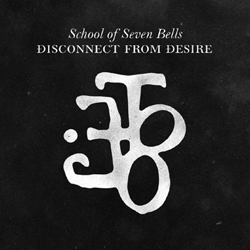 Brooklyn's School of Seven Bells recently announced the 2010 release of their second album Disconnect From Desire, the hotly anticipated follow-up to 2009's Alpinisms, a cracking album that spawned some of the best tunes of 2009. First track to appear from the new LP is this slice of hypnotic dream-pop, true to form it picks up nicely from where they left off. The New York trio's new offering is scheduled for release in 13 July. The band plays at London's Scala on 20 July. The original version of Health's In Heat from their Get Colour LP is only just under two minutes long and is somewhat of an interlude. This new remix by Brooklyn's Javelin makes the song a completely different animal, cleaning up the fuzzy guitars and feedback to give it a clearer pop sheen. Making this a fresh new tune for a sunshine day! The wonderful Miike Snow are really killing it live on tour at the moment. 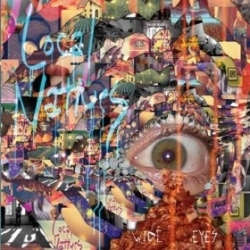 Their debut album was one of neoloops top picks of 2009. This track is a bit of a hidden gem, first available as an extra track on the Japanese release of the album and the b-side to Animal. I think it sits comfortably with the rest of the album and is a welcome extension, another great song. 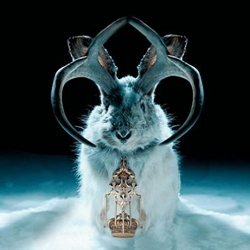 Miike Snow is a Swedish band, who formed in 2007. The band consists of Andrew Wyatt, and the producing team of Christian Karlsson and Pontus Winnberg, also known as Bloodshy & Avant. Florida's MillionYoung releases a new EP this week called Be So true, following on from his last EP the brilliant sun kissed Sunndreamm. Feel The Same is a one off track available from MillionYoung's website as a free download, carrying on from where Sunndreamm left off it's another laid-back synth laden slice of dreamy alt-pop or Chillwave. The new of EP is high Quality too, recommended as a the perfect soundtrack to lazy, sunny spring afternoons. 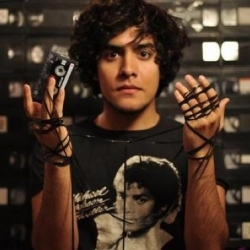 Neon Indian aka Alan Polomo releases a new single this week available free on Green label sound. Sleep Paralysist, a collaboration with Chris Taylor of Grizzly Bear, was recorded in Brooklyn at Taylor’s Terrible Studios. While it includes all the blips, clicks and bleeps with lush psychedelic, indie synth-pop melodies featured on Neon Indian's critically acclaimed début album Psychic Chasms, it has a clearer production sound about it - The Chris Taylor influence perhaps. If you can't sleep, whack this on and enter into the neon dreamland. 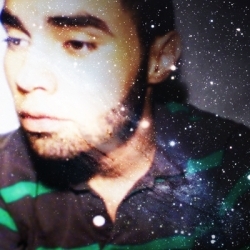 You fucked with the sunshine, left it in the water… Where is the sunshine then, fed up with all this rain. Brighten up your rainy days until the sunshine comes with this bright and breezy snippet of dreamy-pop. 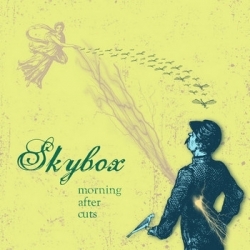 Chicago's Skybox rattle through this little feel-good tune with wonky synths and jangle guitars, a right catchy number that will have you humming it well into summer. 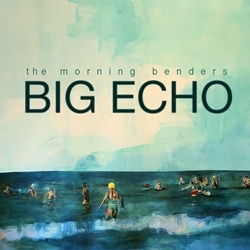 They have a new album out, released last month Morning After Cuts. The video for this is well nuts, love it.